Crews brought in some heavy equipment to resume work at Clifton Park just hours after an exhaustive search for a 20-year-old beneath tons of dirt ended with a recovery. A longtime resident on Sinclair Lane, Joseph Foster, feared the worst when he learned of the trapped teen across the street. "I think he got buried in this,” said Foster, “It kind of caved in on him from what I understand. Down under that much dirt..."
City fire officials have now identified the victim as Kyle Hancock of Glen Burnie and he worked for a construction company by the name of R.F. Warder. 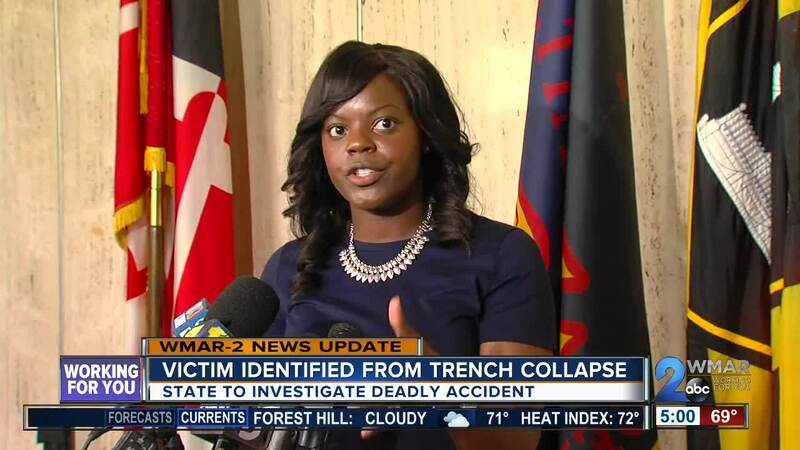 Fire Department Spokeswoman Blair Skinner says Hancock had been working on a sewage pipe when the earthen walls around him caved in on top of him. "You have perhaps a more than 15-foot hole and he's standing really in the center and you have the sides of that collapse,” said Skinner, “So all of that dirt and debris fell on top of him, unfortunately." 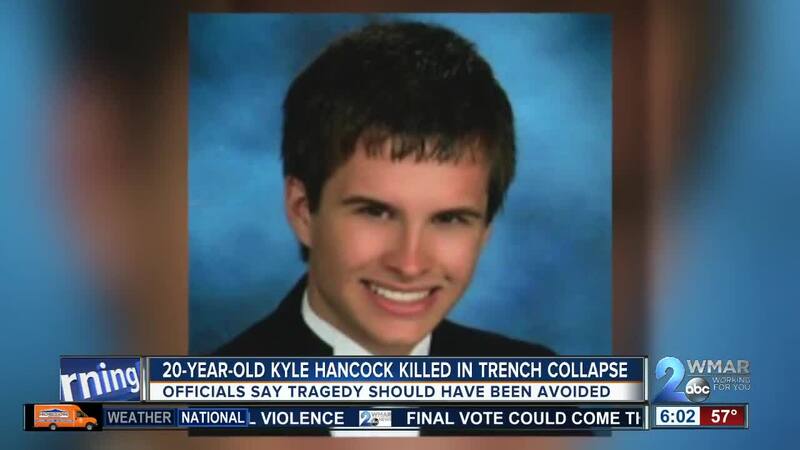 When the department's Special Operations Unit arrived on the scene, a pair of Hancock's co-workers were trying to dig him out by hand, but fearing further cave-ins, fire officials ordered them out and went to work assembling a protective barrier that could be lowered into the pit to conduct their search. Working for 10 straight hours, even through a downpour that flooded the bottom of the trench, Skinner says the searchers refused to stop until they found the victim at 1:30 in the morning. "The parents, his parents, actually came out on the scene last night and they were completely upset, but they were very thankful and appreciative of all the hard work that the team was doing," recalled Skinner. For his part, Joseph Foster weathered through seven hours of the search, hoping for the best, and now his prayers are focused on the victim's family. "It's a tragedy that we can't control,” said Foster, “All we can do now is look up and pray for the family that has lost a loved one, you know like I say, things will happen. If we believe, then hey, that's all we can do." Fire officials say there were no shoring or protective, retaining walls in place during the work in that trench, and investigators with Maryland Occupational Safety and Health will be looking at that in light of the worker's death.